The statement ‘ever changing scenery’ sounds tired, bear with us though as staying at Scarabeo Camp even just twice would see you looking out of the same tent but at an entirely new scene. 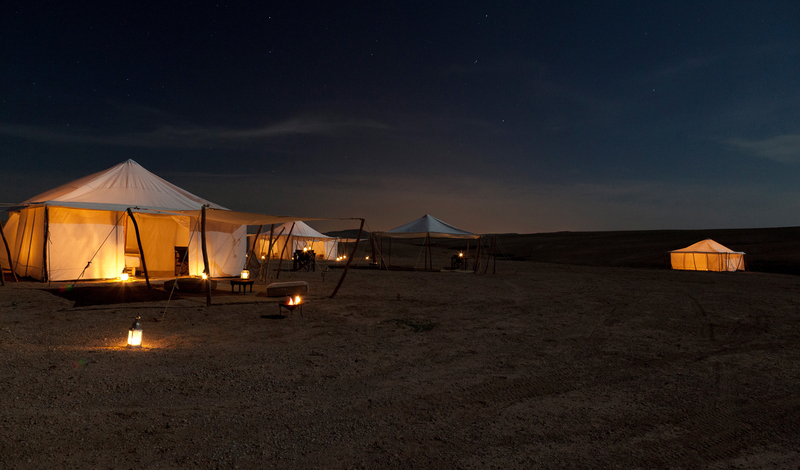 Once every six months, the well travelled and knowledgeable owners up-sticks and move the entire camp to the optimal spot for the coming seasons. 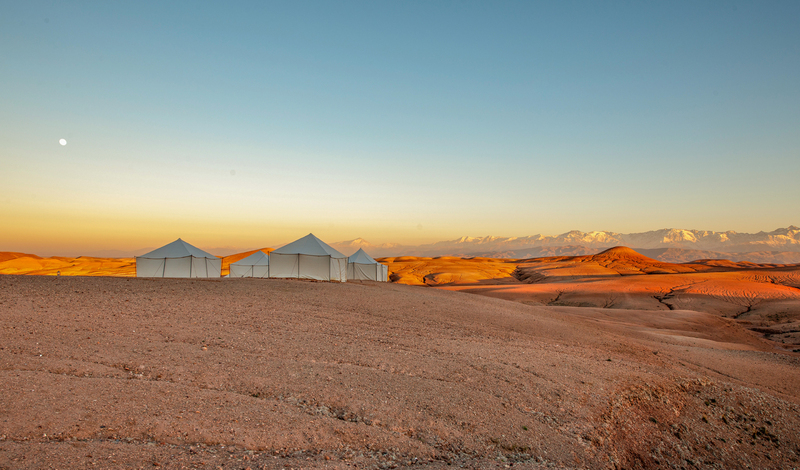 The Oriental style bivouac encampment is an eco-tourist’s dream, with a plethora of measures designed to lower the impact of your stay, although don’t for a second think that this means any reduction in lavishness for you. The aroma of fresh bread will beckon you from your desert den each morning and the sight of the Atlas Mountain range, complete with snow capped peaks, will enliven the weariest of souls.